A new Feedback Hub updated is now available for Skip Ahead Insiders on Redstone 4 builds. The new update comes with new features and improvements. With the latest Feedback hub, it’s now possible to receive notifications of new activities in our feedback. 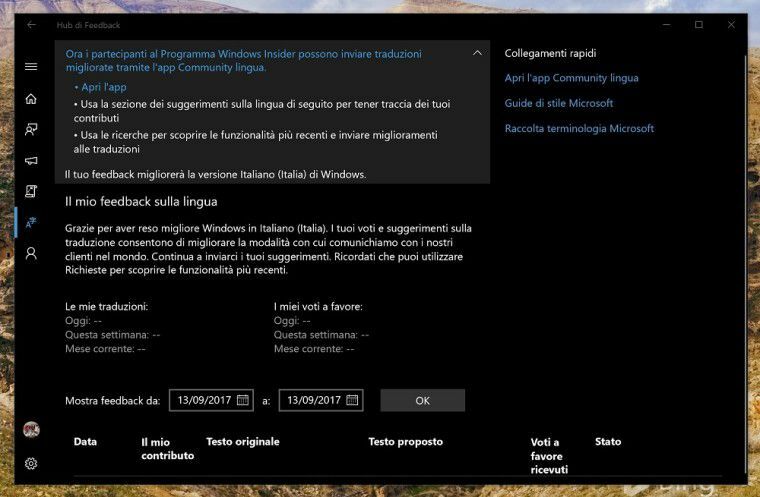 The new update also added integration with the new “Community Language” application. It’s now possible to receive notifications of new activities in our feedback (PC and mobile). Added integration with the new “Community Language” application (PC only). In the Profile> Devices and Tasks section, you can now see the new “Device ID” and “User ID” entries, useful for solving problems with your Windows Insider account (PC and mobile). Other corrections and translations (PC and mobile). The Feedback Hub update applies to those with Skip Ahead enabled in the Fast ring for PC and Windows 10 Mobile.